Cape Town: David Warner hit a magnificent century for Australia but could not prevent South Africa from completing a clean sweep by winning the fifth and final one-day international by 31 runs at Newlands on Wednesday. Warner hit 173 off 136 balls but received scant support from his teammates as Australia, chasing South Africa’s 327 for eight, were bowled out for 296. South Africa won all five matches in the series, the first time Australia have suffered such a beating in a five-game bilateral series. Australia will retain their number one ranking in one-day internationals, however, with South Africa two points behind in second place. 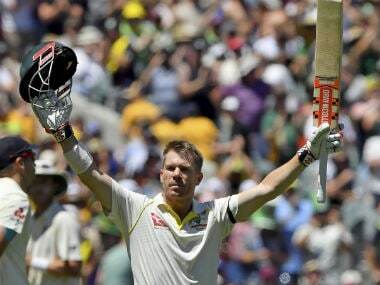 "Davey was phenomenal but the rest of us didn’t stand up," said Australian captain Steve Smith. "Credit to South Africa, we’ve been outplayed in all the games." 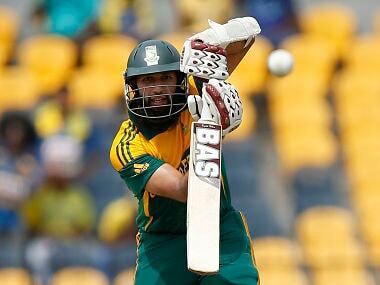 Rilee Rossouw hit 122 and JP Duminy made 73 as South Africa piled up the third-highest total in a one-day international at Newlands, making them firm favourites on a ground where the highest successful run chase was 258. Warner was dropped by wicketkeeper Quinton de Kock off Kagiso Rabada when he had 11. He went on to play a thrilling innings, hitting 24 fours, and Australia remained in with a chance of victory until he was ninth out with the total on 288, run out by a throw from the point boundary by Imran Tahir, desperate for a risky second run in order to keep the strike. Leg-spinner Tahir had earlier taken two wickets in his first over, ending an opening stand of 72 between Warner and Aaron Finch, then bowling Smith two balls later. South African captain Faf du Plessis paid tribute to Warner for an "incredible innings" but said South Africa deserved their series triumph. "At different times different guys stood up. Whatever Australia threw at us we had the answers. I’m very proud of the team." Mitchell Marsh and Travis Head both made 35 but Australia were not able to stage a big partnership such as the 178 off 170 balls posted by Rossouw and Duminy after South Africa had been struggling at 52 for three. Rossouw, who also hit two fifties in the earlier matches, was named man of the series and Warner was named man of the match. Australia’s bowlers made a good start after South Africa won the toss, with Scott Boland having De Kock caught at cover and Joe Mennie bowling both Hashim Amla and Du Plessis. Mennie, who conceded 82 runs without taking a wicket in his only previous international in Johannesburg, also ended the Rossouw-Duminy stand when Duminy was caught at backward point. He was the best of the Australian bowlers, taking three for 49. Chris Tremain, another bowler who made his debut during the series, also took three wickets, aided by two in his last over. He conceded 64 runs. Rossouw hit the ball with great power in making his runs off 118 balls with 14 fours and two sixes, while Duminy was the ideal partner with a combination of silky stroke play and good running between the wickets.